When I started working on my sisters Bertone I was on the search of 1750 GTV for myself, since to me this is the most beautiful version of al the 105 GT’s. Especially the interior and front view is amazing. So during the restoration of the 2000 GTV I finally found the right car for me! But as most of these cars do, this one also needed some attention. 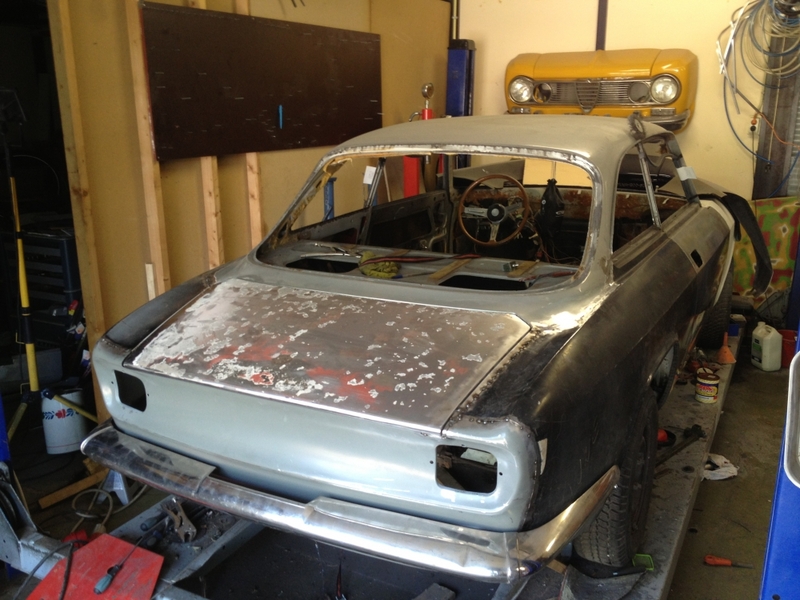 And people who know me know that some attention can quickly evolve to a nuts and bolts restoration! And so it did. When I purchased the car, the paint was good. There had been moisture within the paint, creating small bubbles. First I just started enjoying this car and driving it a lot, but after some time I just had to start working on it. And that was my biggest mistake: working on two cars at the same time. And you can guess what happened: My project came to a stop while all the attention went to the 2000 GTV. After that project was finished I got a lot of welding done on my own car, but then it just wasn’t fun to do anymore, so the project came to a hold. But now, after a few years of just getting out of the Alfa scene, it started to itch again and so I’m starting up the project again. But first I have to do some rebuiling to the place were I’m working on the car.